Flash files are used for do software or update mobile old software. You will need to download nokia 100/101 with RH. If you want to flash nokia 100 or 101 here you will found latest flash files. The latest flash files with its latest updates available to download directly for free of cost without waiting. You can download latest version firmware setup i.e 12.00.11. It is already tested as well and good working software setup. This nokia model BB5 firmware Other groups are DCT3, WD2 and DCT4. It contains mcu, ppm and cnt filete it. The mcu is the main software setup file, the ppm is for language and the cnt contains content package as well as others to successfully flash it or upda and contains wallpapers, games, logos, etc. The mcu in most models ends with mcusw, the ppm ends with an alphabet while the cnt has the words ucp, nai or image in it. Before flashing you will need to take backup of your all of data which stored in your phone. After flashing you will lose your all of data and your mobile will restored in its original settings. 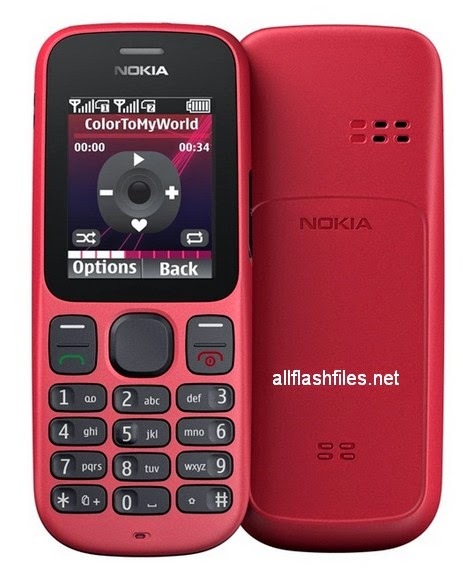 You can download latest flash files of nokia 100 & 101 from below links.